Part of the tour that I joined organized by the PRMM and Greenpeace-Philippines, is a short visit at Pawikan Conservation Center in Brgy. 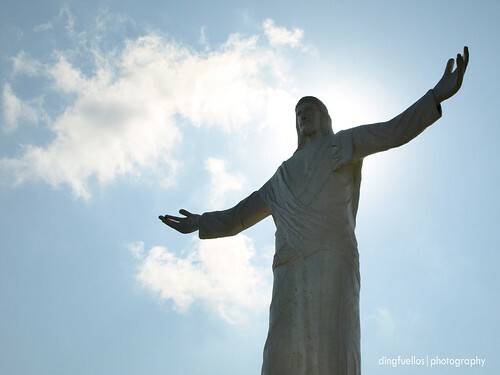 Nagbalayong, Morong, Bataan. 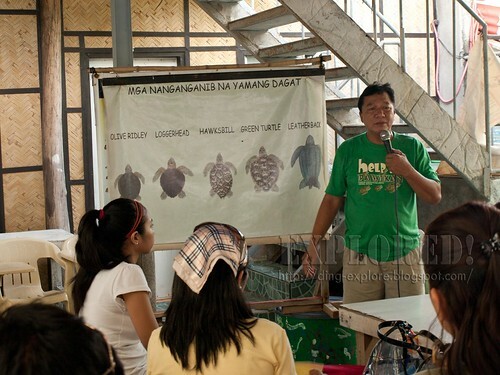 The Pawikan Conservation Center is a community-based program for the conservation of marine turtles. The 7-kilometer shoreline of Brgy. 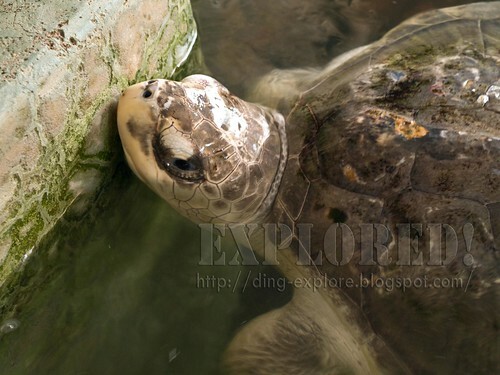 Nagbalayong is a natural nesting ground of the marine turtles. Marine turtles land on the shores of Brgy. Nagbalayong from September to February. As part of their conservation efforts, the members of the Pawikan Center patrol the shoreline at night and gather turtle eggs, which they incubate in their secured hatchery to secure them from poachers and prevent dogs to eat the eggs. 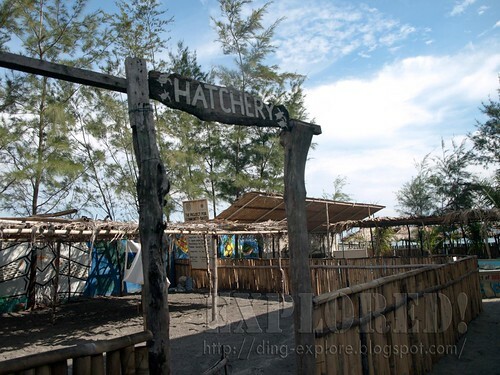 Since 1999, Morong Pawikan Center has already released 47,000 hatchlings into the ocean. With their dedication and perseverance in patrolling the area, the distance they have walked every night would have taken the Pawikan Center members to Sao Paolo, Brazil. A rescued marine turtle in captivity. This one of those that was accidentally captured by fisherfolks. Aside from ocular inspection of the area, the visitors are also treated to a short lecture. During our visit, Mr. Manolo Ibias gave us a short lecture on their conservation efforts. Manolo Ibias, like other other members of the organization, were also self-confessed egg poachers before the conservation effort. They sell the eggs to Chinese restaurants, which make these eggs into aphrodisiac dishes. However, they are now reformed and are dedicated to the conservation efforts. Mr. Manolo Ibias, sharing his thoughts on conservation efforts of the Morong Pawikan Conservation Center. Incubation period is 40-70 days, depending on the temperature. The higher the temperature of the sand, there faster the eggs will hatch; Too hot or humid a weather will also endanger the eggs. For every 100 hatchlings released into the wild, only 1 or 1% is the survival rate (mature turtle) due to natural predators, poachers, environmental degradation--particularly water pollution, throwing of garbage plastic bags into the ocean, and toxic chemicals. The turtles usually mistakenly eat plastic bags thinking that these are jelly fish. 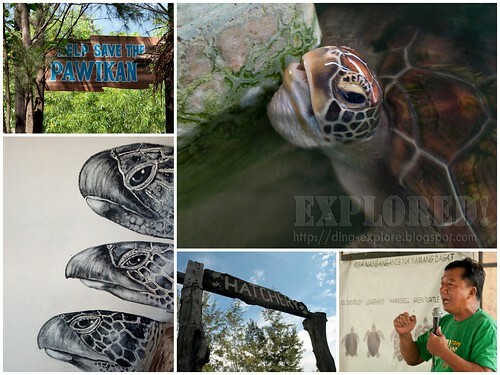 Aside from the Pawikan Center in Morong, Bataan, the other marine turtle sanctuary in the Philippines is located in Tawi-Tawi. The Pawikan Conservation Center hatchery. The center offers guided visits, lecture on pawikan conservation efforts, as well as sponsorship for every pawikan hatchling released into the ocean. It is just unfortunate it was no longer hatching season during our visit, but nonetheless, the experience was quite educational, at least on my part. The center also features a souvenir shop where you can buy t-shirts, stuff toys, and other items for sale. 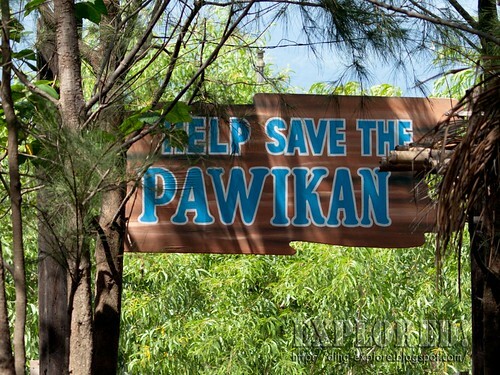 Help support the cause to save the Pawikan by sending donations or purchasing their products or services.